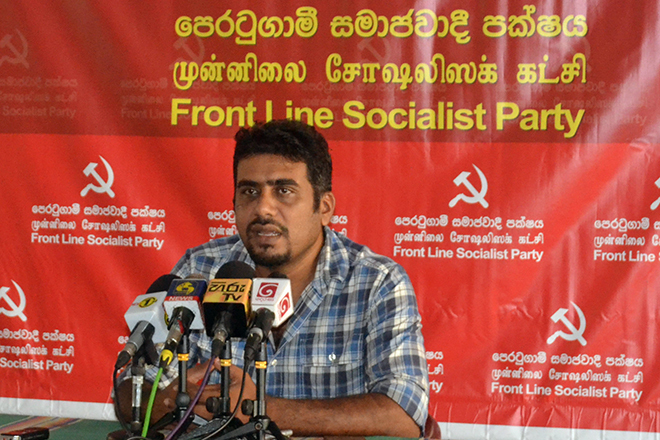 Since the capitalist parliament, which has fallen too far below level, cannot give any democratic rights, the Front Line Socialist Party invites all the members and leaders in JVP and all the other leftist forces who still believe left to form a people’s power outside parliament. 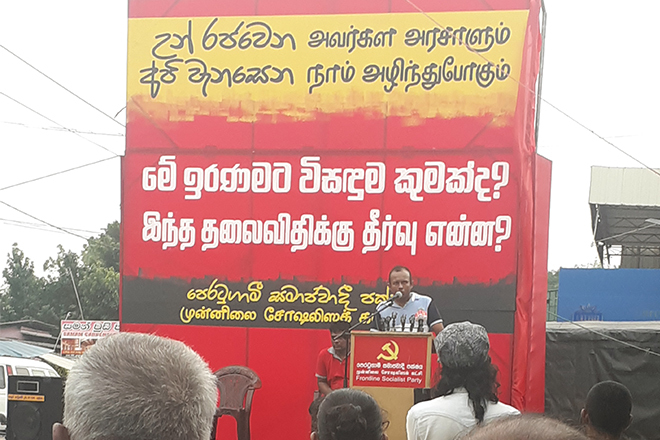 This statement made by the FLSP organising Secretary Kumar Gunaratnam at a ceremony held at the Postal Auditorium in Kandy on the 13th while commemorating the victims of the FLSP in the 1987-89 struggle. Speaking further, Kumar Gunaratnam said, “We fought, but did not fight well. We formed the people’s movement. Even though we had people to praise party actions, we have failed to organise real forces with the working class and people and class forces. The party was mostly fought instead of class. The party cannot do what the class supposed to do. The party can give leadership to the class. Make the class understand its power and build confidence in the struggle. But the system change has to be done by the working class, and the party has to fight and take frontline for them. Give them leadership. The party must be a role a model. However, it is impractical to fight the party without the class. Class and Party should be a blend. It was not our fault; it was our weakness. By this time, this political crisis has already begun: Do we take a side?, We take the side of the people. These institutions, the presidency, are no more valid in history, these institutions are not necessary to strengthen. They can not give people victory. We’re not going to any of the picks. We have to create a hub. Only that way we can win democracy. 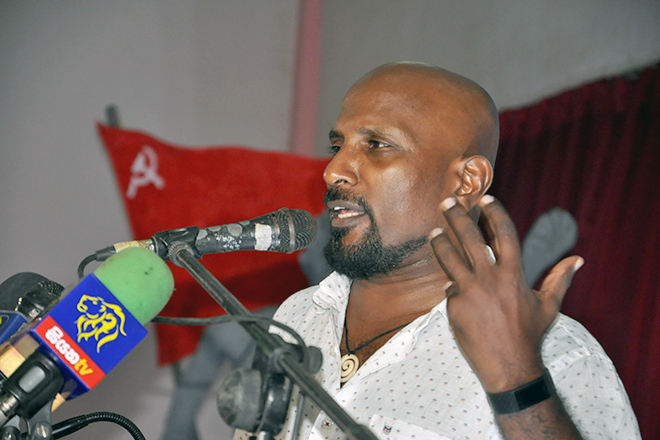 We invite all leftist parties in this country, and comrades, and leadership in the JVP who still believe Marxism; to create a new hub. 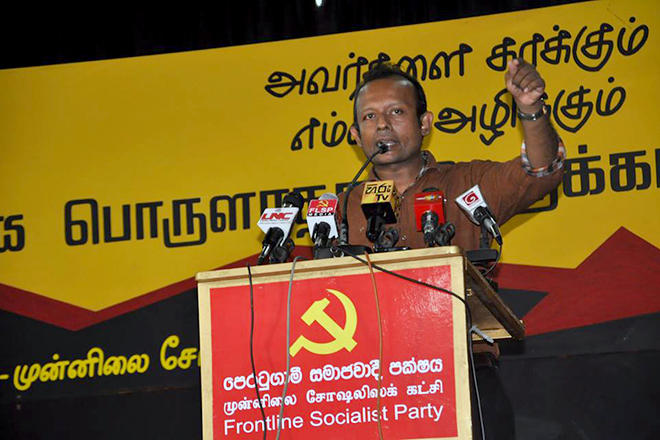 We also have talks with JVP leaderships who still believe in Marxism and system change. The issue is ‘not the time of the movements win’. Let’s start a force today that could win. If the journey begins today, it will be a victory for tomorrow. If not this devastating experience is always experienced. That is the challenge we face today”.